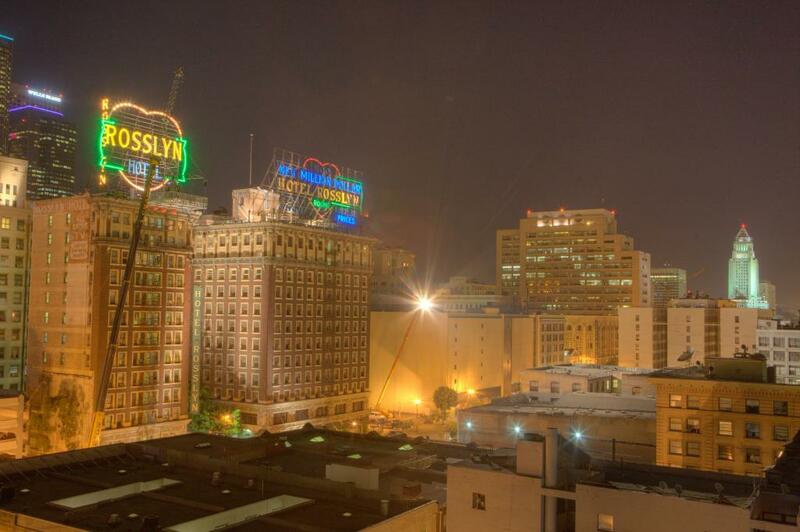 Last night during the filming of Life on Mars, the Neon signs atop the Rosslyn were relit. I posted a little more background info about the process and the signs on blogdowntown. Of course, I wasn't the first or only person to shoot the temporarily lit sign, Jim Winstead, Bert Green and Sha In LA also shot and blogged about the sign. You can see more of the photos I took in my gallery.